I selected the “Grandmother’s Cross” pattern because the square design represents to me, my son’s family. Curtis Mummert, wife Julie and sons Sean and Justin are represented by the four points of the cross. The barn owl in the center was the CB handle of my late husband Donald Mummert. 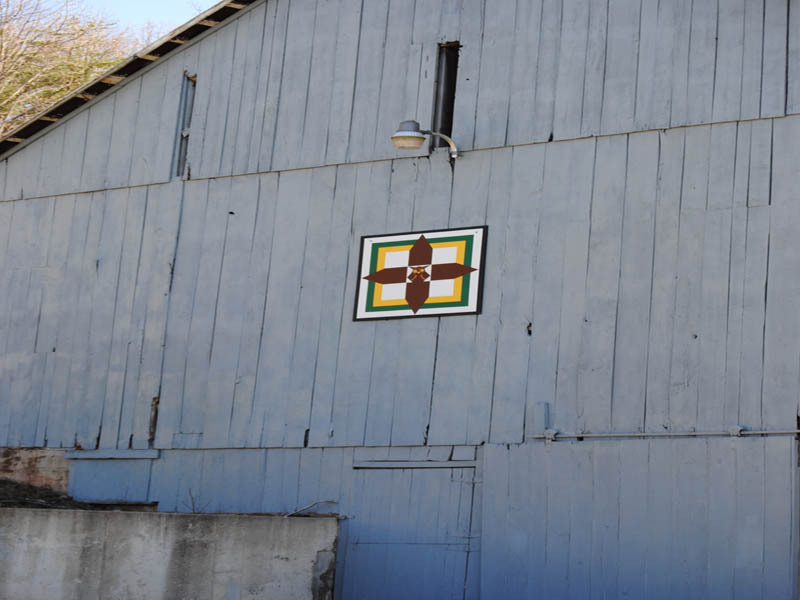 Curtis and his wife Julie own the barn and they are very proud to display the “Grandmother’s Cross” for your enjoyment.